Cette description du travail de Merula Steagall a été rédigée lors de sa sélection comme Fellow Ashoka en 2008. Merula Steagall has thalassemia—a rare hereditary blood disease—but has always led a normal life. 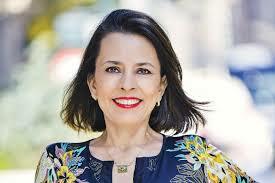 Aware of the low quality of life for the majority of thalassemia patients in Brazil, she has used her knowledge of business to communicate with diverse partners about the democratization of access to health information and quality treatments. Through her work, Merula has doubled the life expectancy of patients, and is beginning to work on a broader range of blood diseases. Merula created the Brazilian Lymphoma and Leukemia Association (ABRALE), realizing that high quality treatment is only viable through actions focused on patients, family members, donors, health professionals, citizen organizations (COs), and private and government initiatives. ABRALE’s model is achieved through a three-pronged approach: 1) Direct work with the patient and their family members, offering them services and information essential to their quality of life, and encouraging them to demand their guaranteed constitutional rights to treatment by the public health system; 2) Support for the improvement of the service given to the public in collaboration with government training and recruitment of health professionals, while also expanding the geographical impact of their work; 3) A model of public treatment which involves various social actors and includes the donation of bone marrow, which in turn produces more results with more efficient spending of resources. In Brazil the public health service does not offer adequate treatment, medication, or trained professionals in the treatment of blood diseases such as lymphoma and leukaemia which affect approximately 50,000 people. The treatment of these diseases involves tremendous financial resources and sophisticated knowledge. In some cases, a cure is made possible by a transplant which requires genetic compatibility and extensive donor funding. There are many patients who neither have access to the most modern and costly treatments offered by private hospitals, nor find assistance in the Unified Health System offered by the government. Therefore, the average life expectancy of Brazilian patients remains much lower than that of patients in developed countries.Article 196 of the Federal Constitution states that, “Every patient has the right to health and to obtain medication for their treatment.” This right, however, is not always upheld. A leukaemia patient, for example, may have great difficulty obtaining medication to control the disease (some medicines cost between $7,000 and $93,000 Reais or US$2,970 and US$39,482). A cancer patient has a series of other rights assured by law, including priority judicial process, exemption from taxes, and withdrawal of the Guarantee Fund for Time of Service and Social Integration Program. Few patients however, are aware of these rights and how to access them.This ongoing lack of information and knowledge about their disease—its characteristics and treatment—means that leukaemia and lymphoma patients are unable to fight for more effective treatments. Physically debilitated, the patients suffer further psychologically when living with the idea of death, imminently associated with these types of diseases, and with the social stigmas and prejudices associated with cancers of the blood.In the Brazilian context, the creation and dissemination of information about diagnoses, clinical procedures, and new treatments for blood diseases is precarious at best—the public hospitals and the majority of health professionals do not have access to this information and are incapable of passing it on to their patients and effectively treating these diseases. The registries of cancer, which are indispensable sources for the development of epidemiological and clinical research as well as for the planning and evaluation of the actions for the control of cancer, also present limits as they cover only a small part of the Brazilian population (18.7 percent). Around 90 percent of positive cases of the diseases are not diagnosed or are treated informally.Among health professionals there exists a serious problem in the geographical concentration of specialists in haematology and oncology in the more developed south and southeast regions of Brazil—principally the wealthier capitals of the country. Of the 3,500 professionals in these areas, approximately 100 have access to the latest information. This means that patients, and those who have yet to receive a diagnosis, will need to move to the most developed urban centres to receive the best care. Ideally, they would receive immediate medical attention in their region, allowing for the anticipation of a diagnosis, increasing the chances of treatment and cure, and reducing the patient’s physical and psychological strain.The volume of resources necessary for the development of an efficient public system of services for cases of blood disease is very high. The greatest obstacle in the creation of this system however, resides in the poorly administered resources already available and the lack of discourse between stakeholders involved. This stems from a lack of strategic planning by the government which does not have the capacity to map the institutions that work with the diseases and the number of patients who need to be treated. The disordered and inefficient utilization of resources makes the treatment obsolete when compared to the most advanced treatments.In most cases of haematological disease, a cure is only possible with a bone marrow transplant. Currently in Brazil, where there are 2,500 candidates annually for such a transplant, 1,500 of whom do not find a donor with familial ties and genetic compatibility. In addition, the process of identifying donors is slow—all patients wait a minimum of two months to obtain any response regarding the possibility of a donor. While the Brazilian Register of Voluntary Donors of Bone Marrow (REDOME) has a base of approximately 100,000 donors, the largest banks of donors have between 1,000,000 (Germany) and 5,000,000 (U.S.) registered donors. Most Brazilian patients not able to find a compatible donor through REDOME wait for the international donor registers to be searched and in such cases, the Brazilian government will pay up to US$42,000 for a compatible bone marrow.With regard to the international political situation, Brazil is not taking advantage of the historic moment to divulge its public health policy which achieved a high level of credibility due to its program to combat AIDS. The situation in other Latin American countries is worse still as civil society is not mobilized around this issue and the low economic development makes access to the latest treatments in these areas a major obstacle. To achieve her objective of democratizing access to information and having quality treatment for patients with blood diseases, Merula began making use of her knowledge as a business woman by establishing discourse between different sectors. Using several indicators, such as the index of cure, speed of diagnosis, and the information system, the results are very positive. A specialist from the U.K, who accompanied the development of the work of ABRASTA and ABRALE, declared that Merula had achieved twenty years of progress in only three years, but without increasing resources demand—she has generated better results on the same budget. Merula’s strategy begins with a broad national and international mapping of patients, doctors, haematological centers, hospitals, governors, pharmaceutical industries, and other stakeholders that deal with blood diseases, to decide who are the social actors involved and the kinds of activities they develop. This makes it possible to identify best practices at an international level, and to form the alliances necessary to bring them together to establish ambitious goals and chronograms. The central and strategic actors in this process are the patients and their families. In Merula’s vision, as soon as they have access to information they will be proactive, and demand from the government and the private sector actions that guarantees structural transformation in onco-haematology. Thus, when a patient from any part of Brazil receives a diagnosis, he or she is referred to ABRASTA or ABRALE to obtain support. Complimentary legal support is also provided, in addition to making the most up to date information about treatment available through its channels of communication—meticulously revised by a Scientific Committee. This in turn makes it possible, through judicial actions, for patients without financial resources to access quality treatment, obtain high-cost medication and examinations, and be guaranteed that costs will be covered by health insurance plans. In 2006, ABRALE put forward 180 proposals: In the first semester 45 of 75 (60 percent) were approved. The organization also offers complimentary psychological care which is provided by a professional specialized to work with oncology patients. Also in 2006, 550 individual and thirty group psychology sessions took place at ABRALE headquarters in Sao Paulo. Merula also organizes weekly meetings with complimentary presentations and workshops, where patients and their families get to know others in the same situation; many of whom are responding positively to or have completed treatment. Each week, the meeting has a theme, such as, basic information about treatments; new treatments and research into new medicines; alternative therapies and their benefits; or a course on income generation. To date, forty meetings have been organized with 2,400 patients and health professionals.The second pillar of Merula’s work, her direct contact with health professionals (doctors and nurses), has been extremely important to guarantee an improved quality of life for patients. Her involvement with the medical community is strong and in partnership with her organizations, it is widely establishing and communicating the goals of development for the sector. Knowing these professionals need access to all that is being discussed internationally with regard to treatments for blood diseases, Merula also organizes an annual International Conference in Onco-Haematology, which counts on the participation of renowned specialists in onco-haematological treatment to discuss developments in treatment with other doctors. Merula has also organized more than fifty online distance education courses for doctors. The courses have been recognized and approved by the Ministry of Health and count as credits towards advanced medical courses. The first online course was launched in April of 2008. Finally, Merula establishes partnerships with private and government companies to finance the participation of doctors from different regions in the principle conferences in the area—her objective is to foster the creation of regional centers of excellence. To provide current and quality information, Merula has established technical partnerships with international organizations such as the World Health Organization (Switzerland), The Leukaemia and Lymphoma Society (U.S.), the German Bone Marrow Donor Centre (DKMS), the European Cancer Patient Coalition (Italy), and the Lymphoma Coalition (U.K.).Merula is creating a new organization, Medula, whose objective is to improve the bone marrow and stem cell donor process and to increase the chances of a transplant for patients in Brazil. This project is in partnership with the Brazilian government and private international institutions. The organization will secure potential voluntary donors, register their details, and share this information with REDOME. Securing volunteer donors will be promoted through campaigns aimed at mobilizing interested individuals in Brazil; using the strategy of mobile collection units. The beneficiaries of the project will be all patients with haematological diseases; seventy diseases can be treated and cured with a bone marrow transplant. In addition to the patients, the country will benefit, since there is an international demand for donors of different genetic types. The high degree of racial mix in Brazilian society could potentially be an opportunity to receive financial resources through the sale of bone marrow. An essential mechanism for the success of the Medula program is the maintenance of contact with the donor, i.e. their loyalty to the donor process, since the donation in these cases is made in steps. In this sense the role of the organization is fundamental because to achieve this level of donor loyalty, it is necessary to have both strong mobilization power and the ability to establish bonds with the donors. The principle strategy to ensure that this occurs consists of maintaining discourse with hospitals, health agencies, and civil society organizations so that they integrate, construct goals of work, and become committed to the process. Merula also intends to insert the theme of blood diseases into the training of professionals of the Family Health Program, which is in direct contact with the most marginalized communities, and could therefore diagnose cases with greater speed, or refer individuals to centres of reference in the region.After recognizing the highly developed level at which her work progresses to other Latin American countries, Merula created Alianza—a network of regional organizations that promote the ongoing training and professional development of its members through cooperation between Brazilian and Latin American institutions working on the treatment of blood diseases. Merula’s connection to the fight for better conditions of treatment and quality of life for patients suffering from blood diseases arose from her own health condition. She suffers from thalassemia, a rare hereditary blood disease. The treatment is extremely complex because it requires constant blood transfusions and daily chelation therapy. The life expectancy for patients with this disease is usually a maximum of twenty years. Merula’s history demonstrates that this prognosis varies crucially depending upon the conditions of treatment of the patient. She is now forty years old and is the only thalassemia patient in the world to have three children. This is essentially due to the opportunities she has had for treatment: After being diagnosed with the disease, Merula moved to Greece where, unlike Brazil at that time, there were doctors and hospitals specializing in its treatment.In Brazil, Merula graduated in business administration in the 1990s and opened her own business which imported house and kitchen products. The business grew significantly with the opening of import laws during the government of Collor. Until the age of thirty, Merula did very little volunteer work for ABRASTA, founded by her parents and other families of child thalassemia sufferers; they offered only psychological support to patients and their families.In 2000, Merula received news that ABRASTA, due to financial problems and bad administration, would close. Sensitive to the possibility of closure, Merula became directly involved. She invested her own funds, cleared all debts, and assumed the position of President—intent to improve the management and expand ABRASTA’s work. Merula yearned for everyone to have access to the same treatment she had.On assuming the Presidency, her first step was to make contact with the (former) Minister of Health, Jose Serra. After much insistence she managed to speak with him personally and present the illness of thalassemia, the forms of treatment and costs, and to ask for government support for her work. Merula made an analysis of the number and profile of thalassemia sufferers in Brazil and identified the doctors who treated them. Based on the analysis, a plan was designed so that patients and health professionals would have access to all that was internationally recommended to better patient’s lives.The government accepted the partnership with ABRASTA and after the analysis, which established the existence of 527 cases of thalassemia, Merula organized a large international conference, bringing specialists from all over the world. During the conference, Merula recognized the backwardness of Brazil’s public policies in relation to the treatment of the disease. With ABRASTA, she prepared and helped implement a public health plan for the sector. Merula’s dedicated and competent work means that today Brazil may be compared to any center of reference in the treatment of thalassemia—similar to the HIV/AIDS program. Noticing the impact of her work in the quality of lives of thalassemia patients and the lack of adequate treatment for other blood diseases, she is expanding her focus to include cancers and other genetic diseases. After founding ABRALE, she no longer had the time or the interest for anything outside of the social organizations where she worked. She sold her business and now divides her time between her presidencies of ABRALE and ABRASTA.